A quiet evening again, with just 5 of us there, plus prospective new member Steve, and Ian, who just dropped in at the start to pay his annual subscription, before going back to work. Mr Atfield is still somewhere in Portugal, and the Cha(I)rman was under the weather. 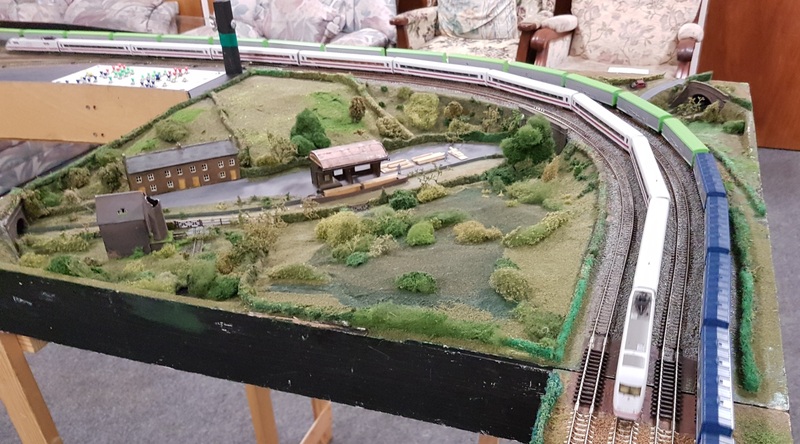 But we got a small circuit up and running, and it was full of trains, thanks to Paul, Graham and John. 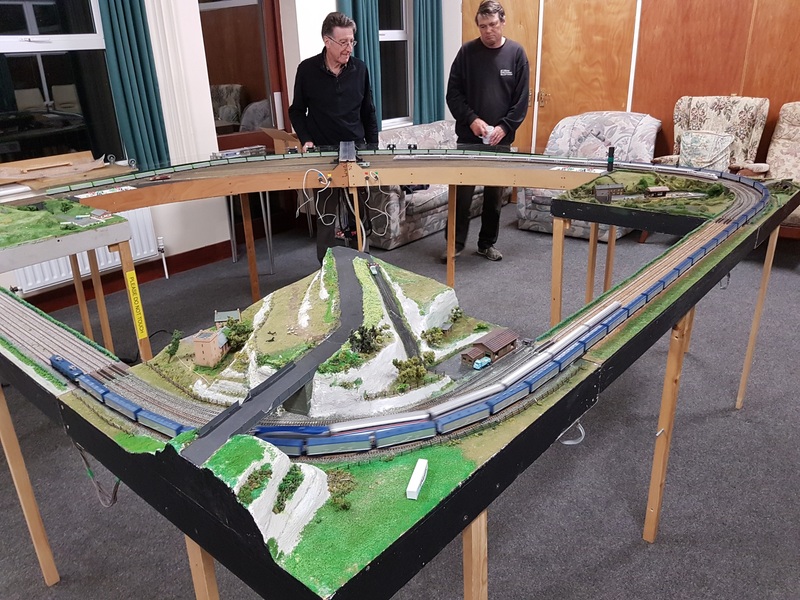 And there was plenty of time to talk…..
Also, Duncan sent me this layout – better than Paul’s goods train on club nights. And if you’ve got a helix like this, who needs a layout? And ex-member Ray Anderson sent me this one. Perhaps one could do something similar with an over-wide Farish O8 and the station platform? I had a great night, really looking forward to joining and learning!